You can buy “The Complete Adventures of Chuggalug” online or in most good Bookstores. Hi there. 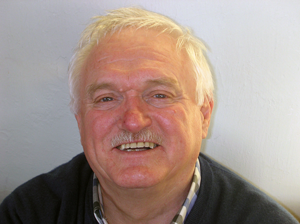 I’m James McClelland, the author of the ‘CHUGGALUG’ books. The third book, “THE COMPLETE ADVENTURES OF CHUGGALUG” has just been published and is already proving popular. Some successful book signings have already taken place, in Waterstones bookshops in AYR, DUMFRIES, FALKIRK and NEWTON MEARNS, with more being planned. I hope you like the new web site as much as I do. It’s been designed and constructed by a very clever lady called Georgina, and we plan to include many new exciting features soon, including an interactive map of the area where Chuggalug lived, with some pictures of the tree house, the forest, Loch Ness etc. So keep visiting, and I hope to see you soon. 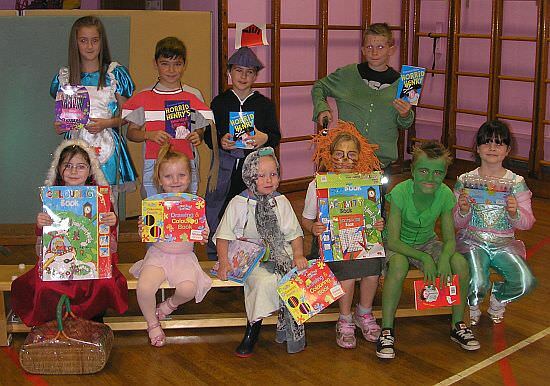 Best Dressed Prizewinners, Lochside Primary School, Dumfries. On Friday 4th November 2013 I had a very enjoyable day at Lochside Primary School, Dumfries. The pupils and staff made it a special visit by dressing up as book characters for the day, and I was made very welcome. I really enjoyed presenting the prizes to the best dressed pupil in each class. Thank you to everyone at Lochside Primary for a special day. See the latest updates and photos of Jim’s School visits. Keep visiting for the date of the next visit. You can order “The Complete Adventures of Chuggalug” online or in most good Bookstores.